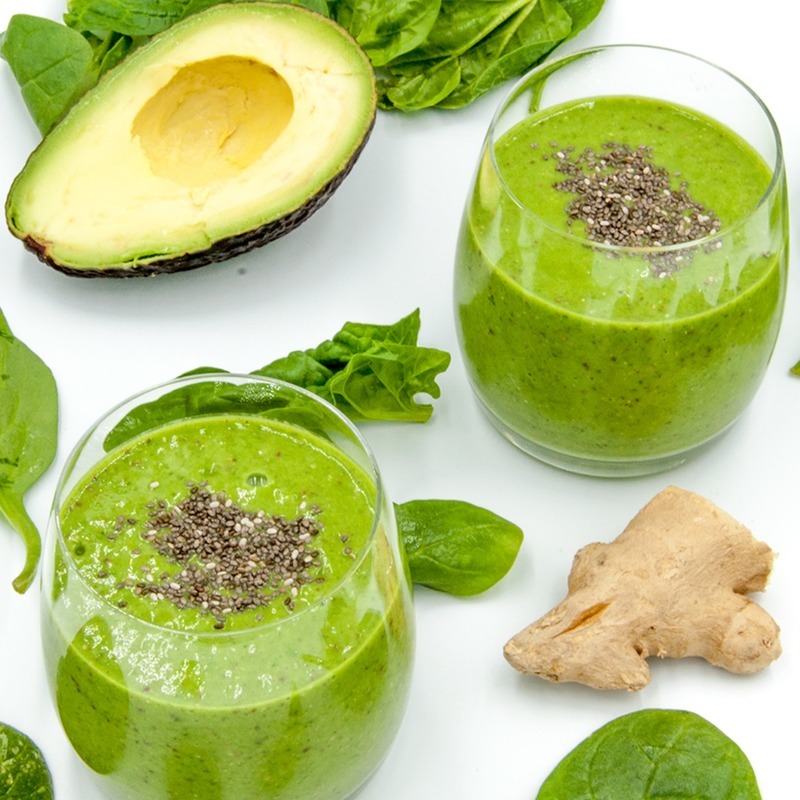 Avocado and spinach detox smoothie. But why detox? Because of the superfoods of ginger and chia seeds! All washed down with almond milk and honey. Yum!